Want to know what the Windows operating system actually does or why you should care about RAM? How about what actually happens when you log on? With Total Training, you’ll master the fundamentals of the PC so you can enjoy and benefit from it without frustration or fear. Successful candidates will be awarded a certificate for Personal Computer Fundamentals. This course does not train you to do a specific job, but would be an asset to those hoping to work with computers, and would be very helpful for those hoping to use computers in everyday life. Erin A. Olsen has been spreading her enthusiasm and vision for the power of desktop technology since 1994 to more than 37,000 people in seven countries. Since founding PCKeys Technology Solutions, she has authored more than 36 CBT titles, developed hundreds of courses and effectively presented to thousands. When Erin started her technology career, the PC was fairly new. Windows 3.1 was just coming out so she had to find ways to explain this new technical environment in terms non-technical people could understand. Her illustrations and explanations did and continue to do so today in fundamental to advanced topics. Erin combines her formal education in information technology and education with an emphasis in instructional design and technology (B.I.T., M.Ed. 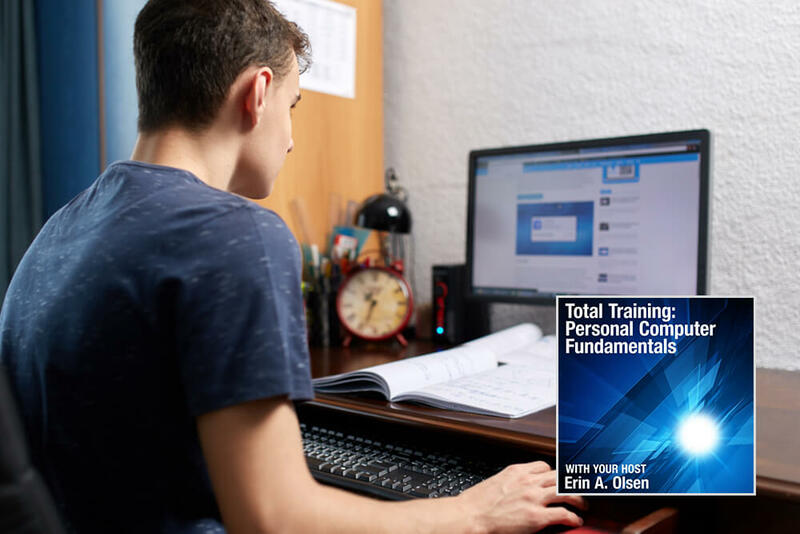 ), with her technical expertise, real-world experience and understanding of adult learning to present these technical topics in an easy-to-understand, easy-to-apply and fun manner using relatable examples and analogies. Erin’s unique combination of personality and skills allow her to provide an enhanced learning experience for all that is effective, engaging and memorable.